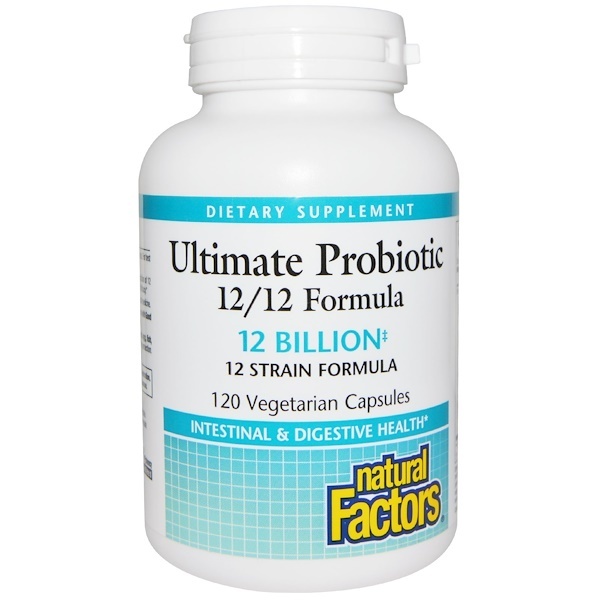 12/12 Ultimate Probiotic provides 12 proprietary strains with a potent concentration of 12 billion active cells that work synergistically, guaranteeing maximum activity and efficacy. Recommended by Dr. Michael Murray, one of the world’s leading experts on natural medicine. ‡Guaranteed minimum 12 billion active cells per capsule at expiry date. ‡Guaranteed minimum 18 billion active cells per capsule at manufacture date. 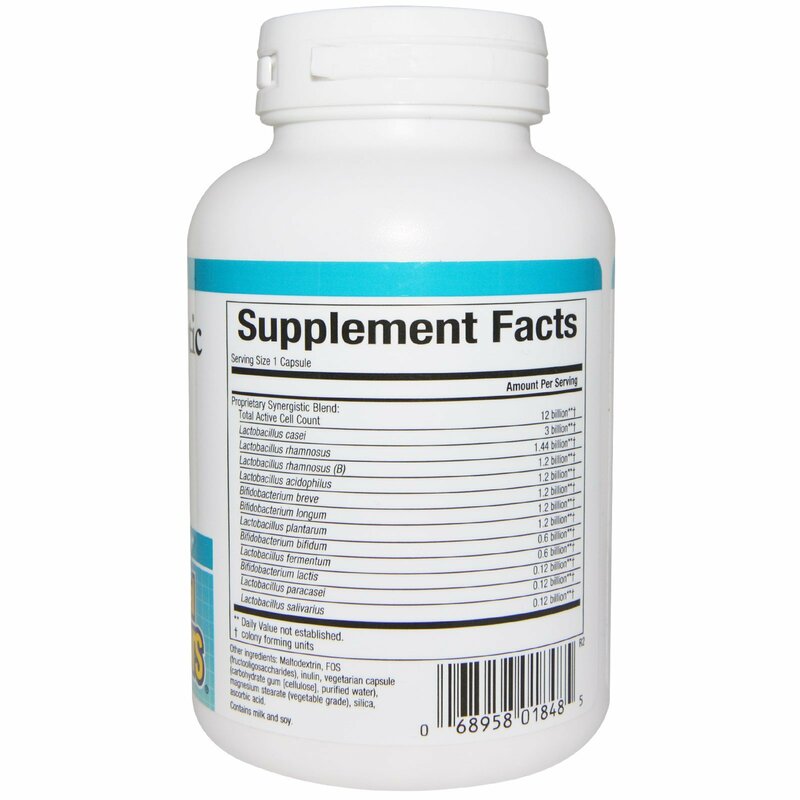 1 capsule 3 times per day or as directed by a health professional. For best results, take with a meal. Maltodextrin, FOS (fructooligosaccharides), inulin, vegetarian capsule (carbohydrate gum [cellulose], purified water), magnesium stearate (vegetable grade), silica, ascorbic acid. Contains no artificial colors, preservatives, or sweeteners; no wheat, gluten, egg, fish, shellfish, salt, tree nuts, or GMOs. Suitable for vegetarians.